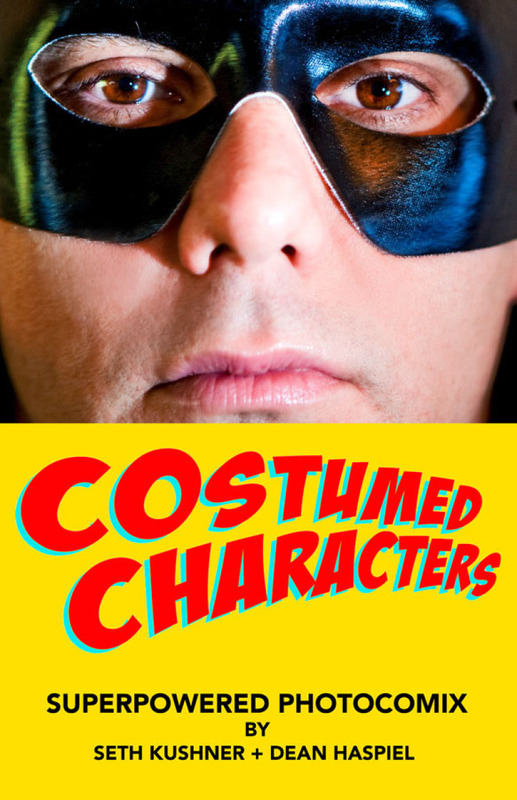 Costumed Characters is a series that celebrates and comments on the conventions of superhero comics, cosplayers, reality TV and movies. 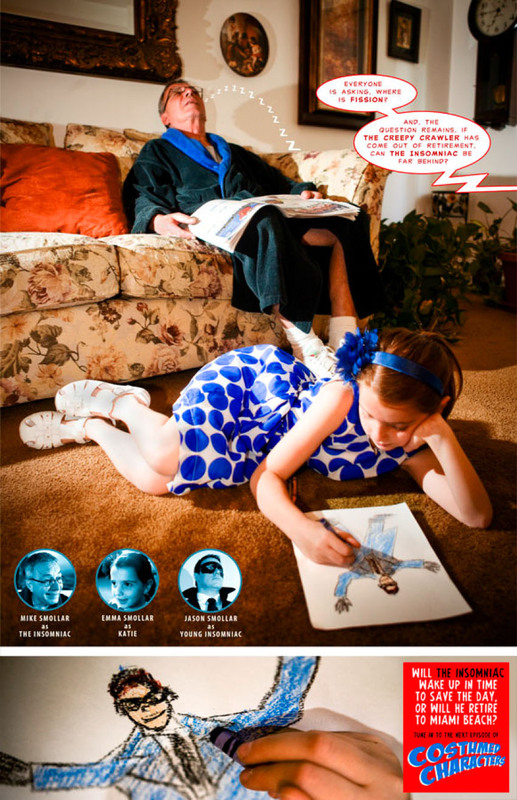 The tongue-in-cheek series explores the concepts of heartbreak and heroism with a humorous twist. Costumed Characters is done in the spirit of the 1966 Batman TV series. 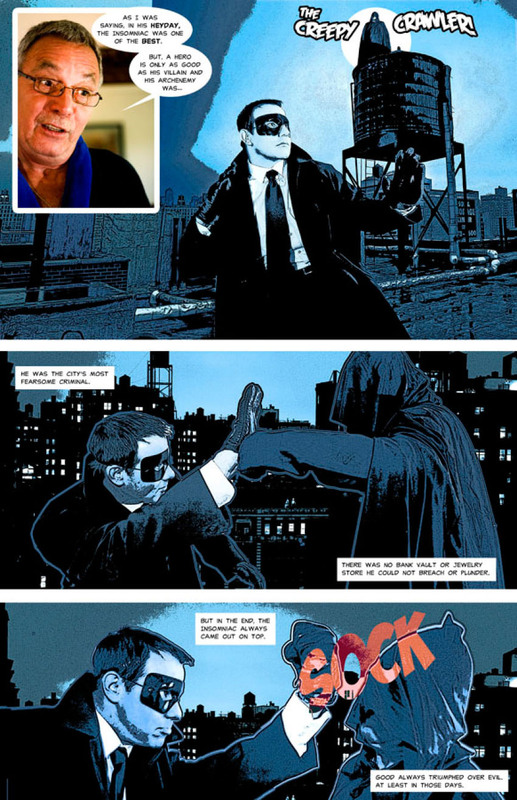 So, it only makes sense that the format for these tales be “live action” fumetti, or photocomics. 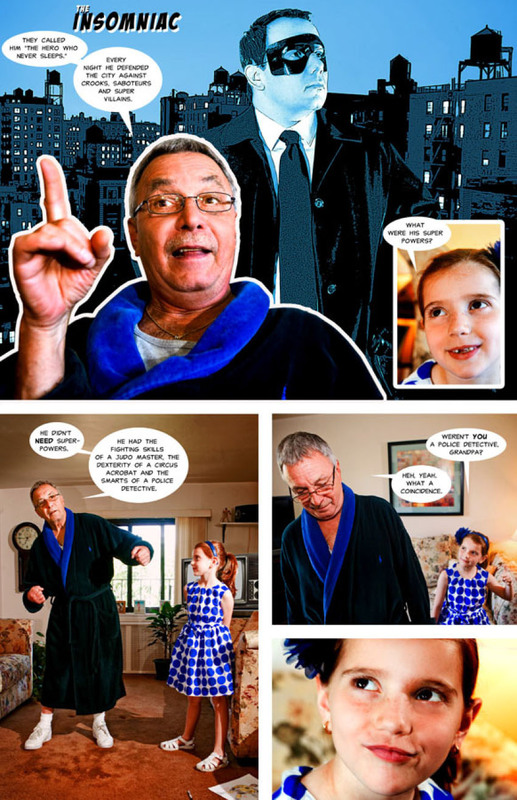 By utilizing and mixing photography and the language of comics, this series can stand apart from other superhero parodies while still feeling familiar. 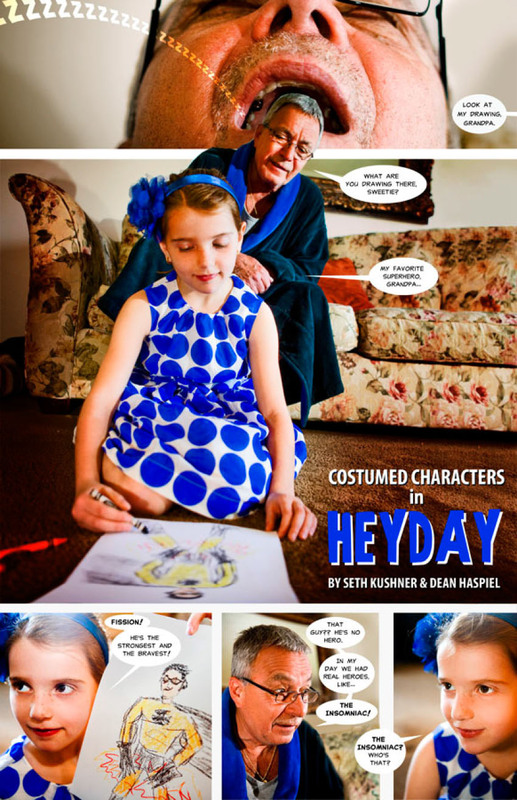 In today’s episode, HEYDAY A retired pulp hero, the non-powered precursor to the Costumed Characters, tells his young granddaughter of the adventures of his secret alter-ego, The Insomniac and his archenemy The Creepy Crawler. Image | This entry was posted in Uncategorized and tagged Comic book, Costumed Characters, Dean Haspiel, graphic novel, Photocomic, Photocomix, Seth Kushner. Bookmark the permalink.